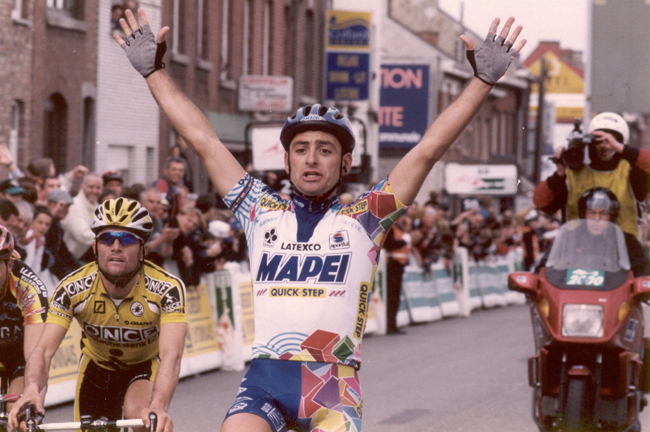 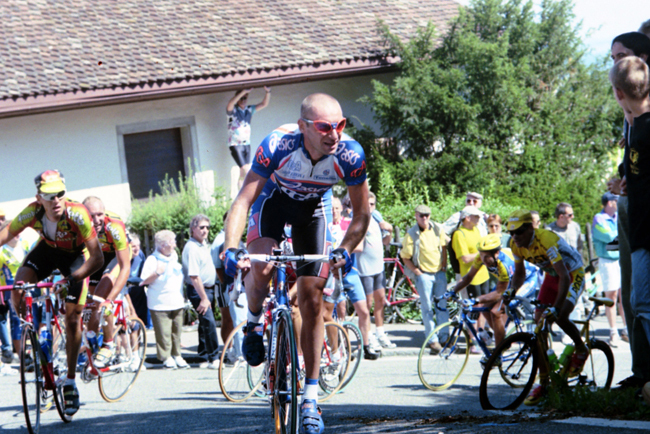 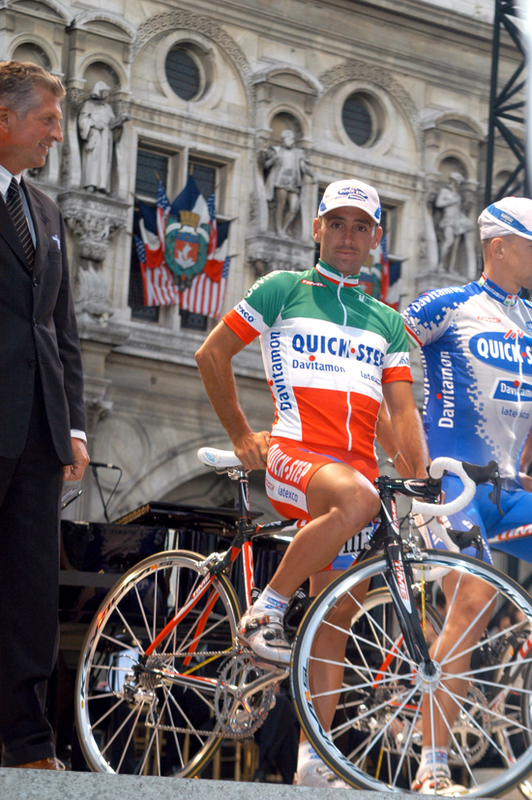 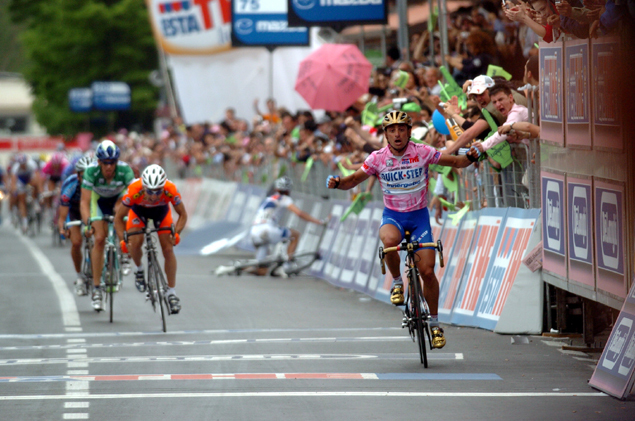 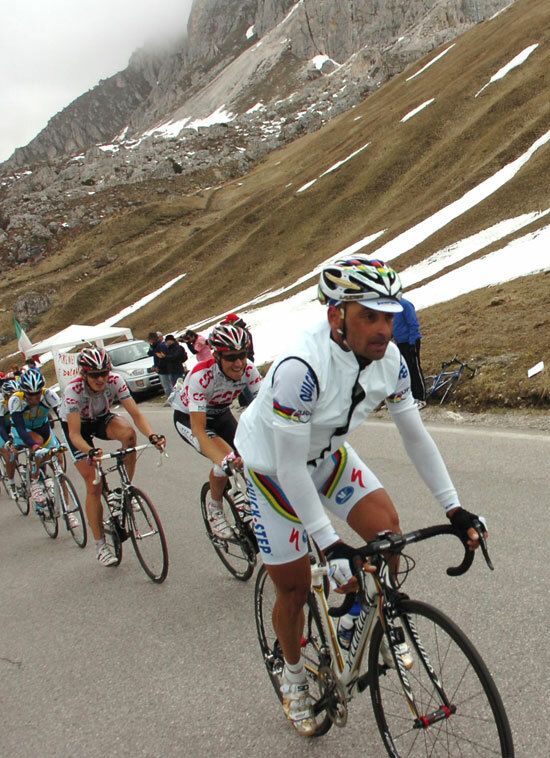 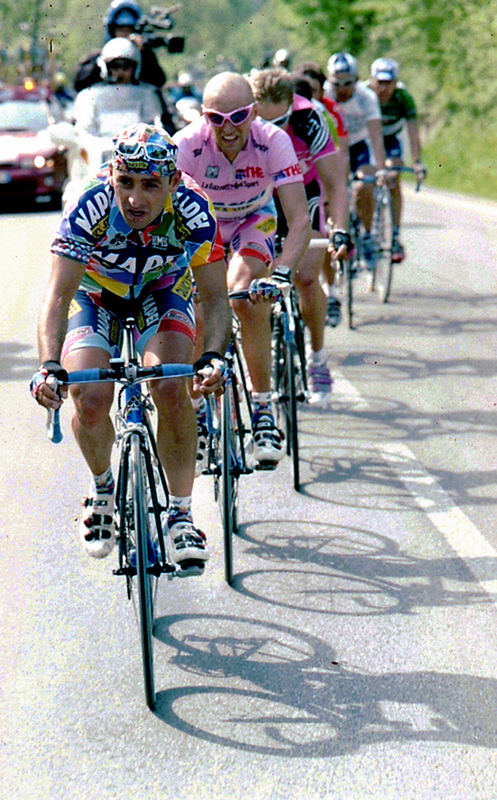 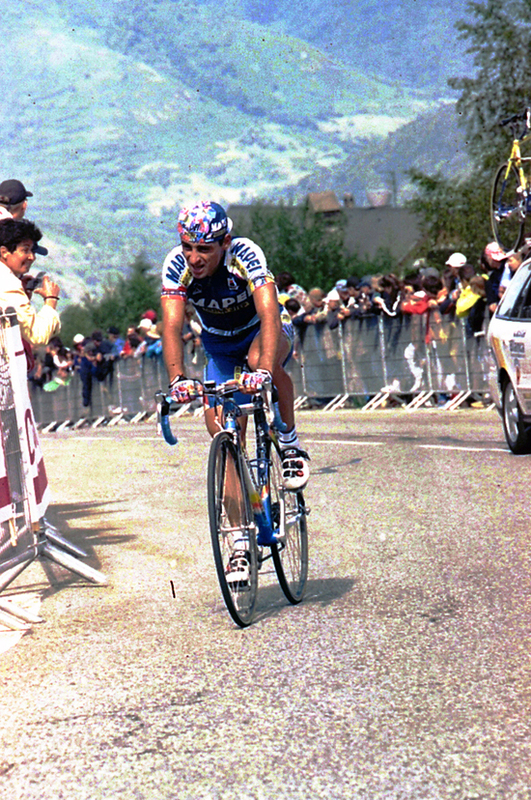 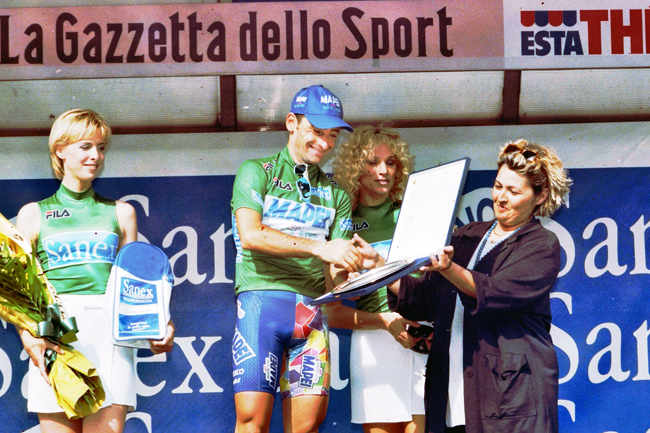 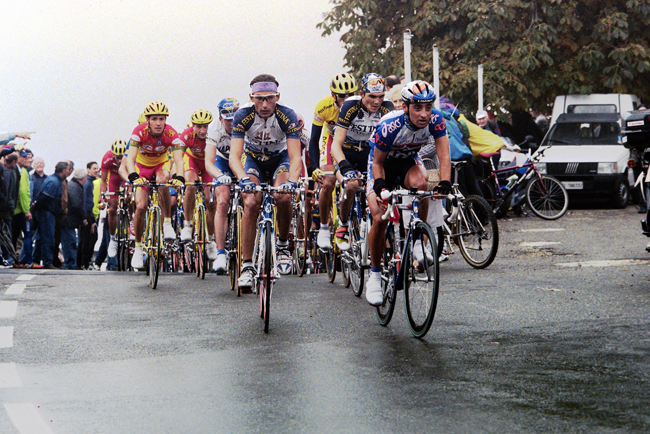 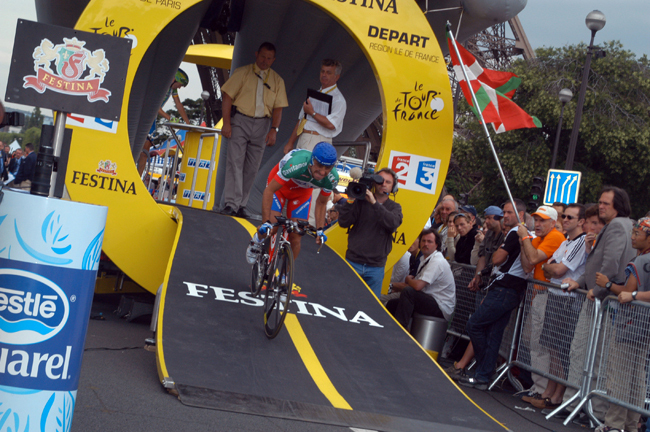 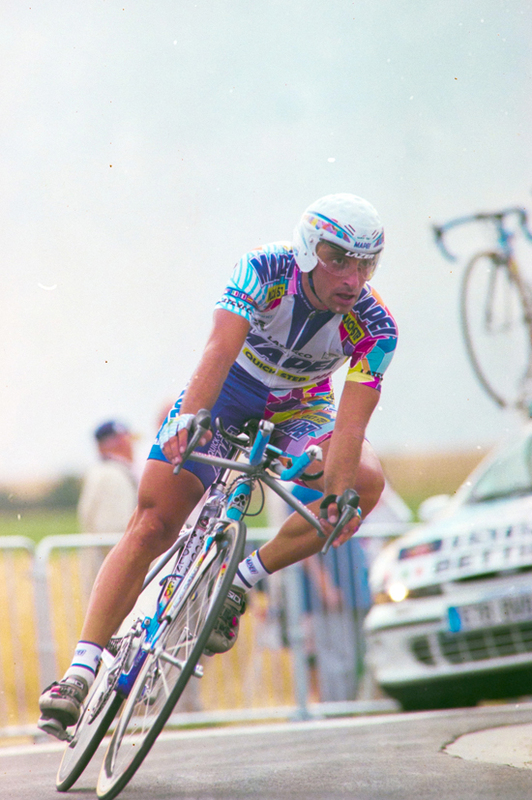 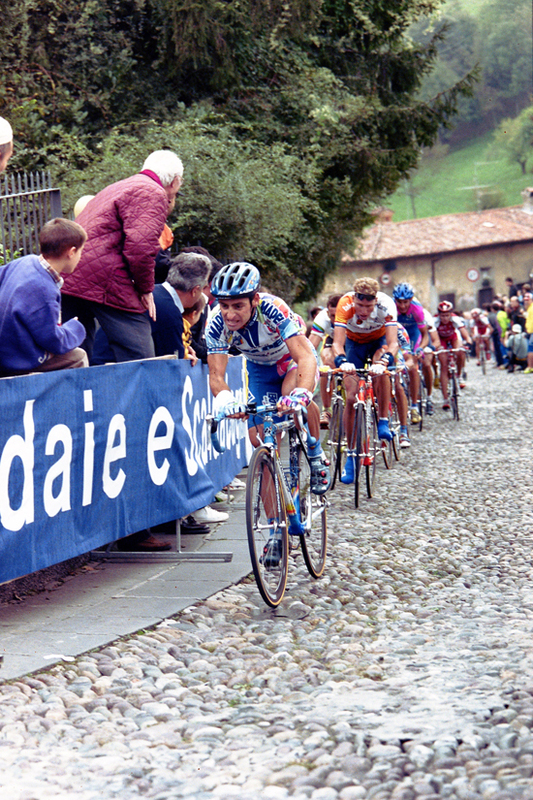 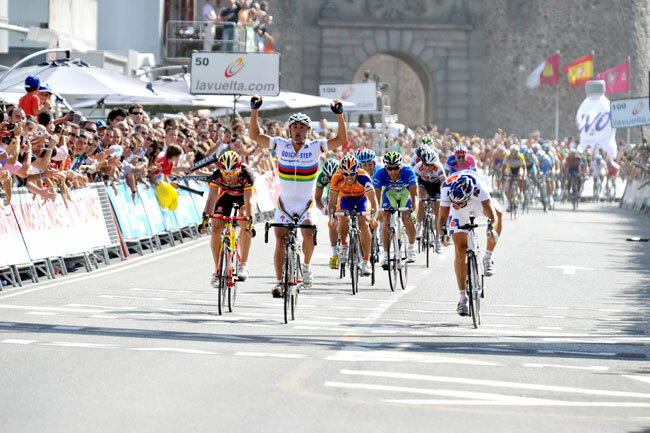 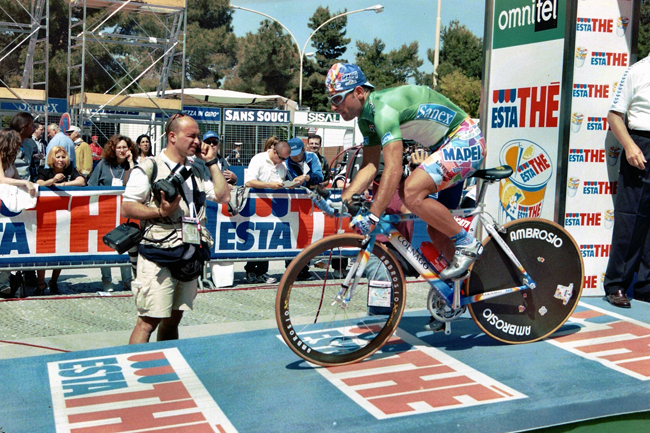 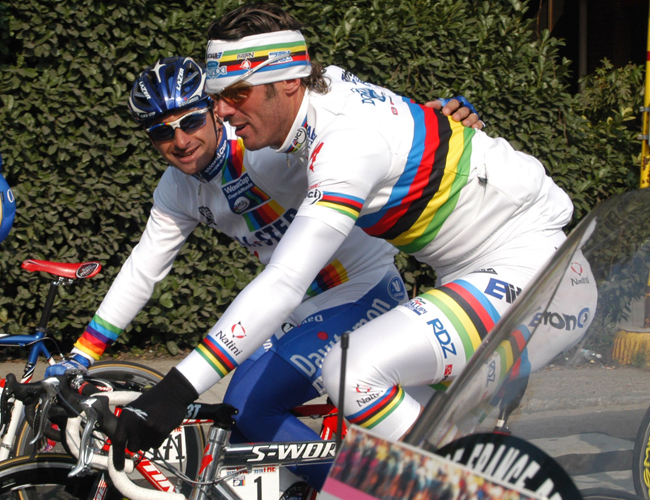 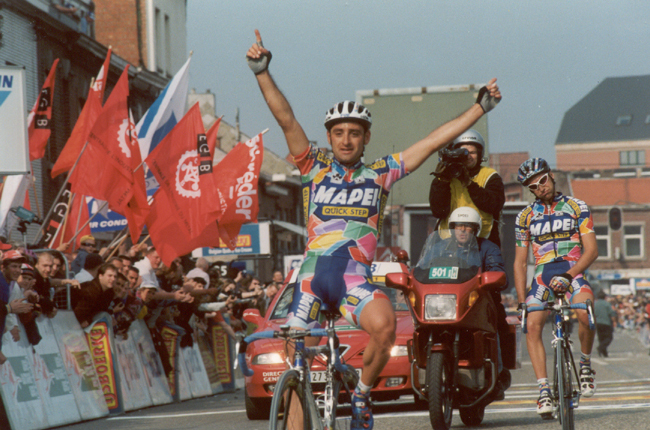 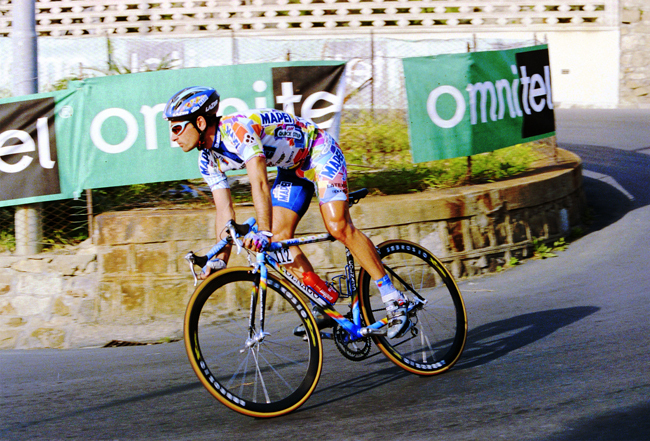 Italian cyclist Paolo Bettini (born April 1, 1974) was one of cycling's best-ever single-day racers. 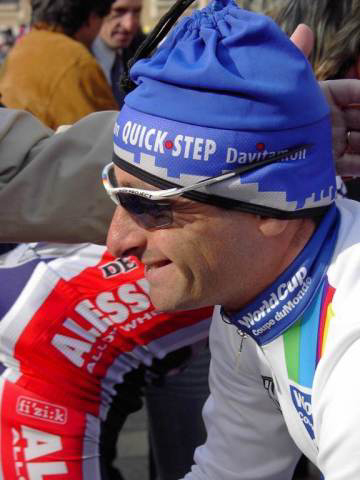 He has the rare distinction of having won consecutive world pro road championships (2006, 2007), a feat matched only by Georges Ronsee (1928, 1929), Rik van Steenbergen (1956, 1957), Rik van Looy (1960, 1961) and Gianni Bugno (1991, 1992). 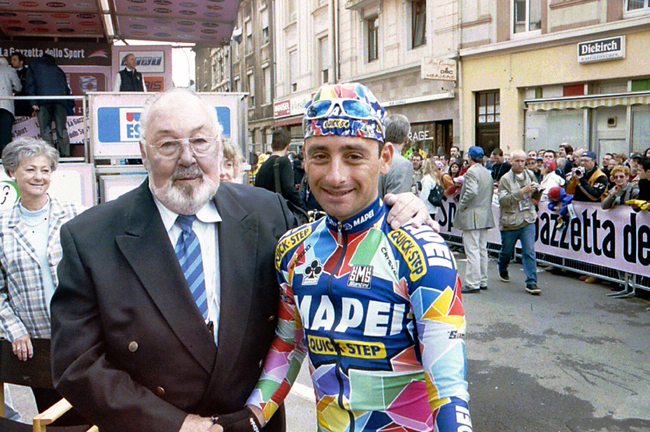 Fine company, indeed. 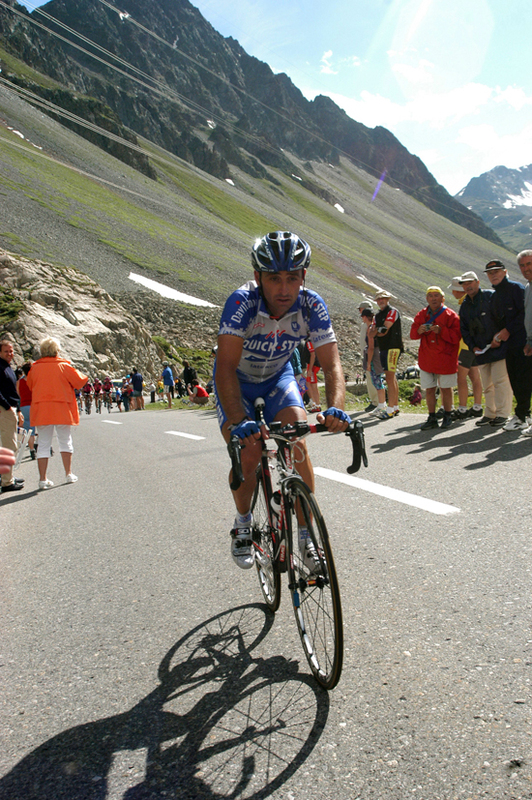 Though he won the points classification in two Giri d'Italia (2005, 2006), he was never in contention for the overall win in a Grand Tour and won only one Tour de France and two Giro stages. 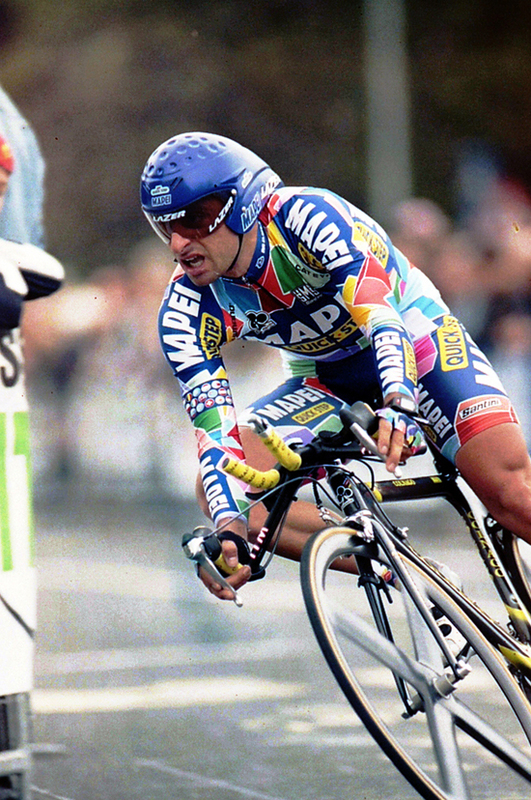 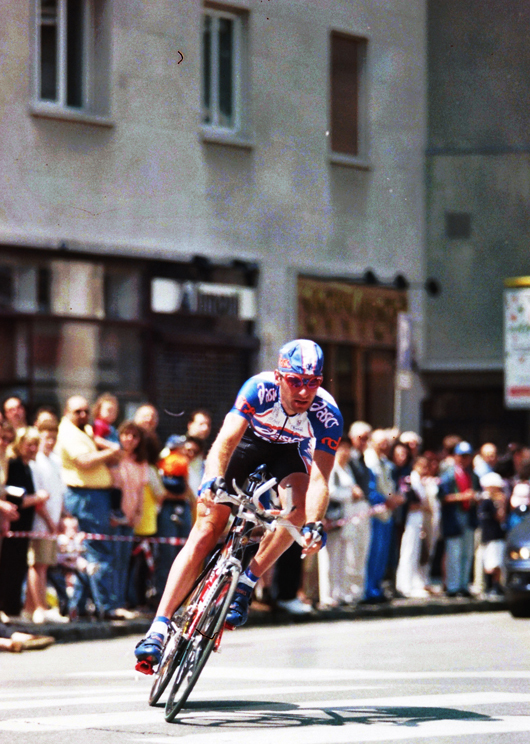 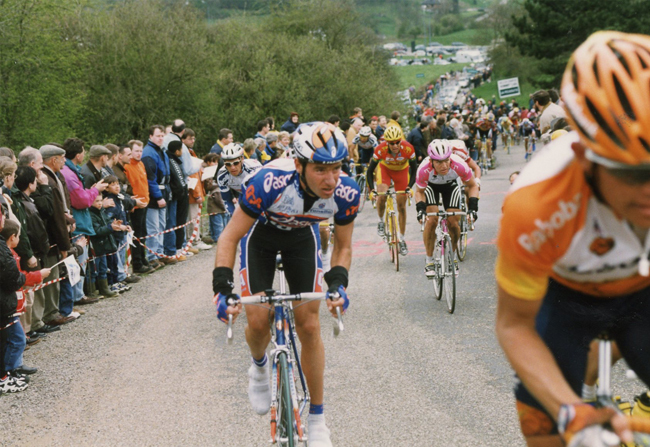 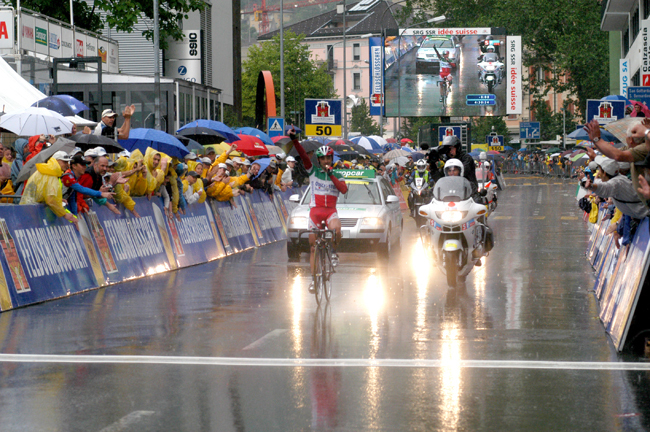 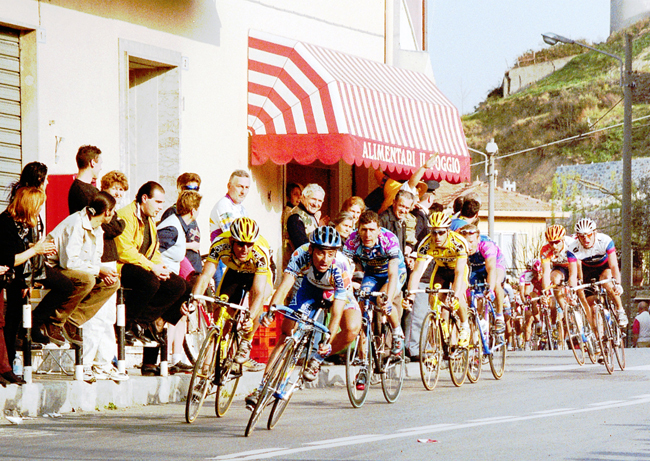 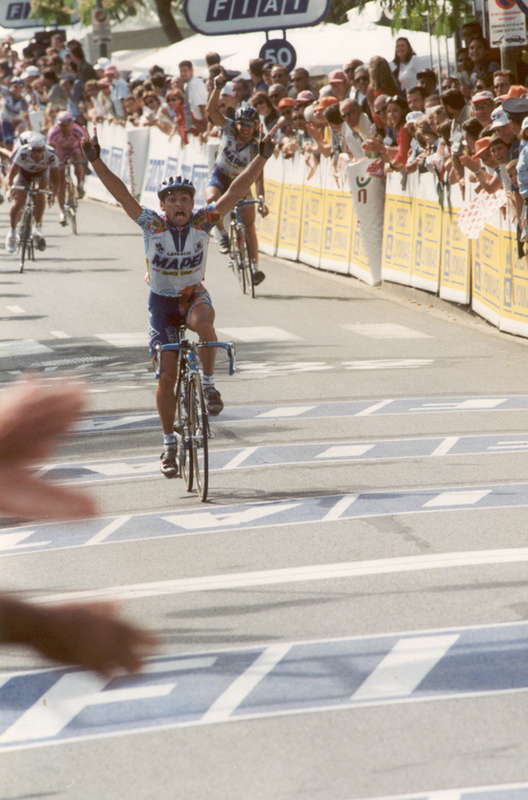 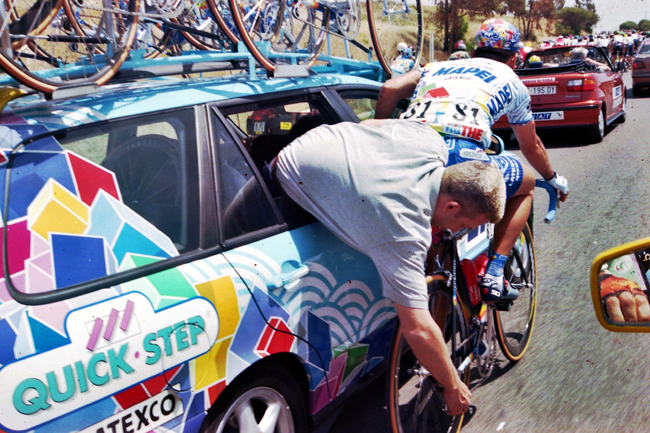 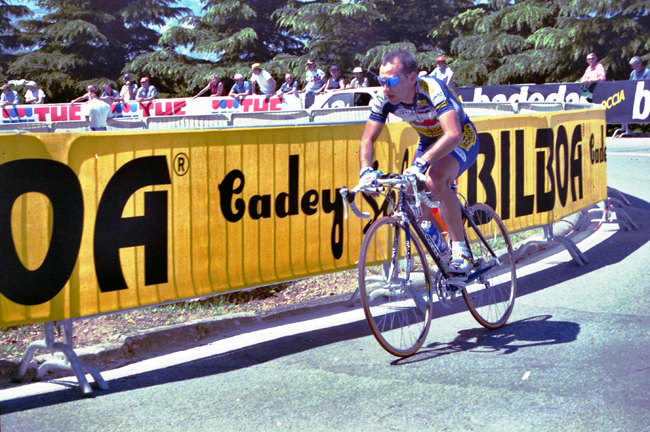 His real talent lay in shorter stage races and the classics. 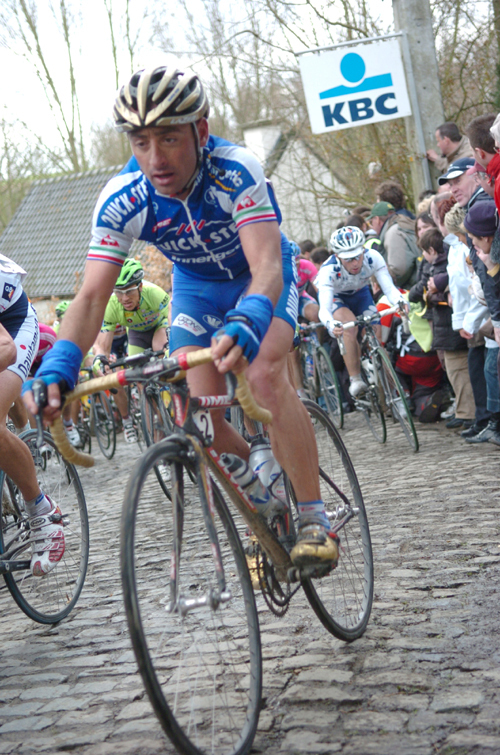 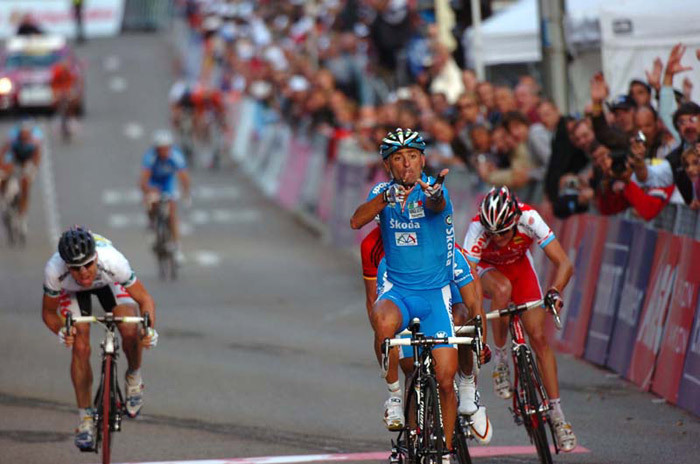 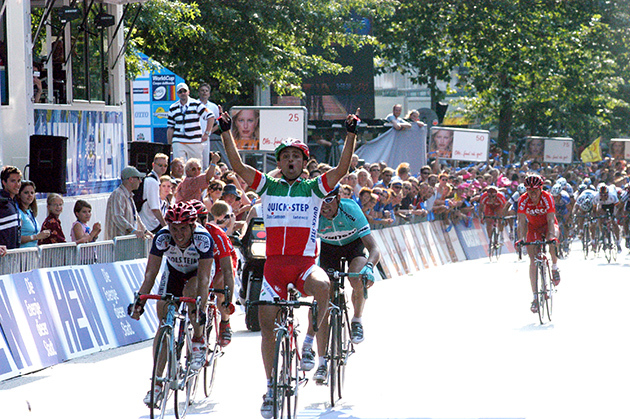 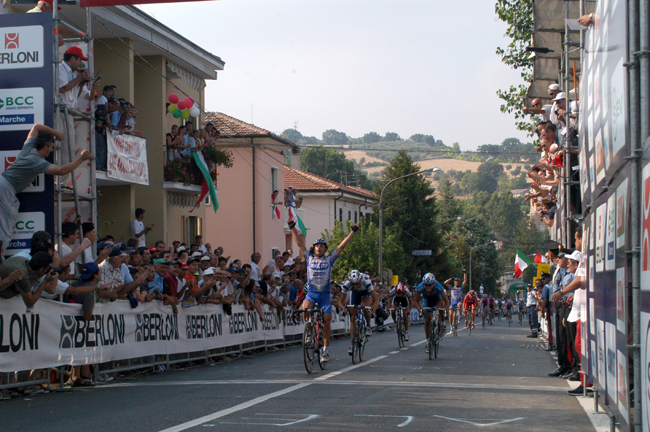 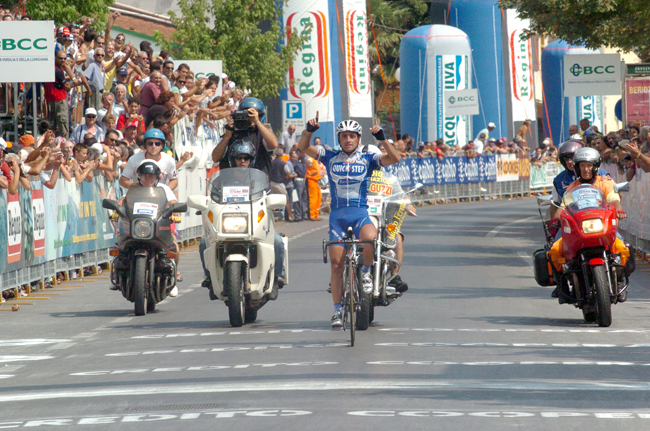 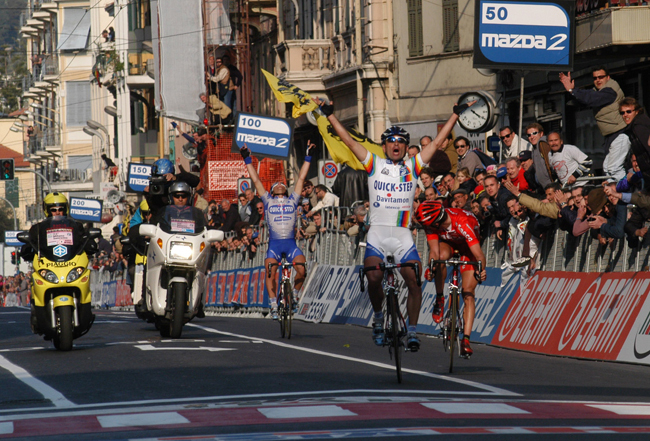 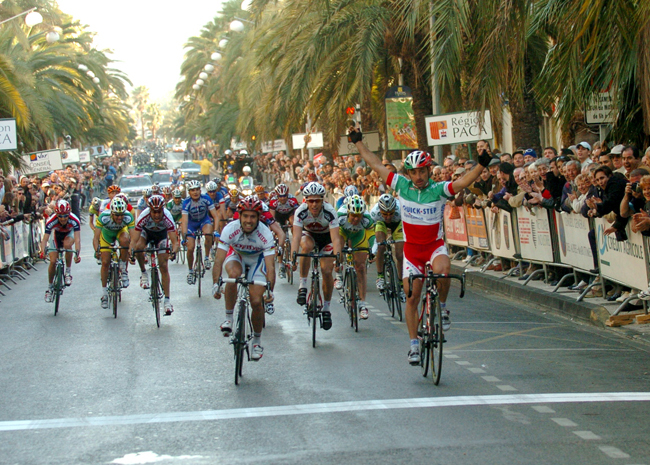 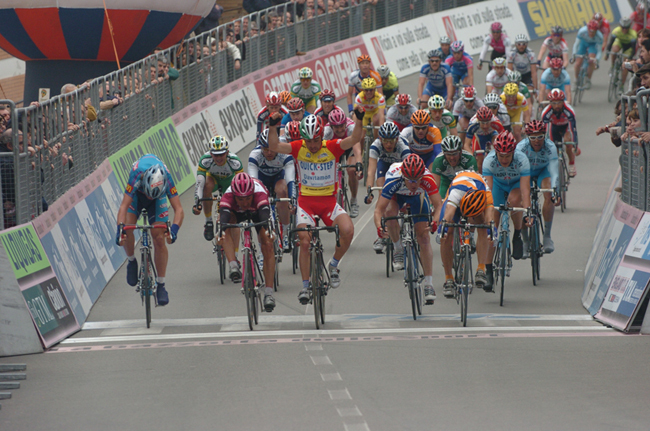 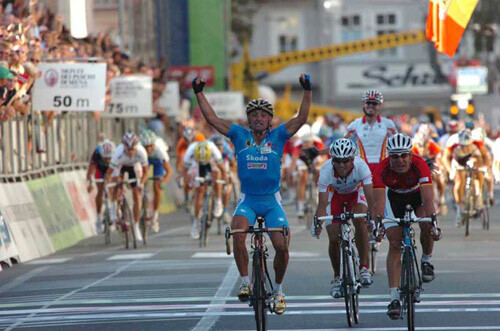 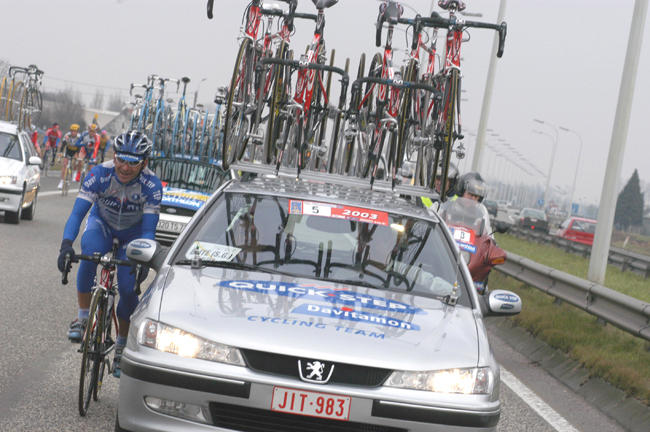 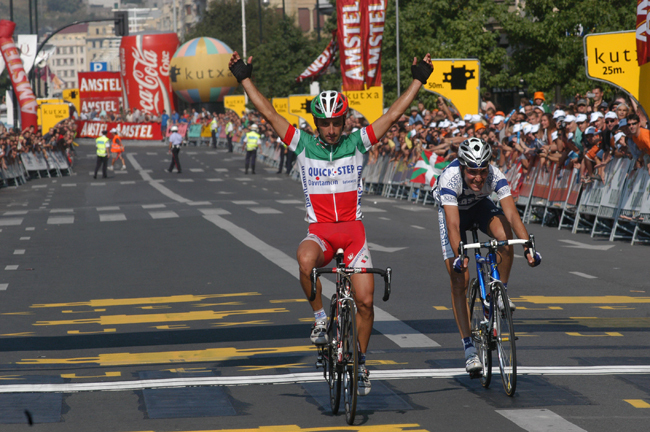 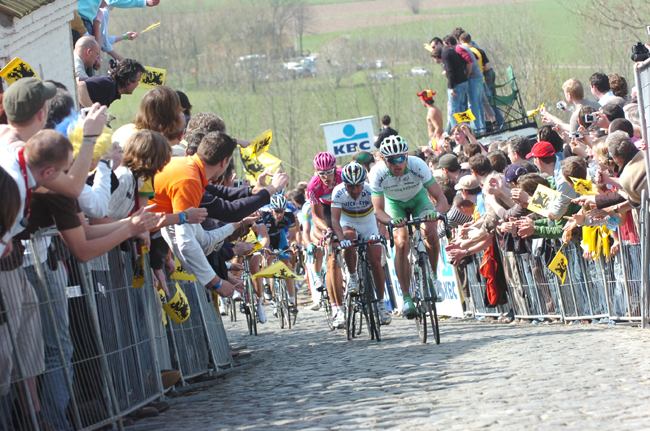 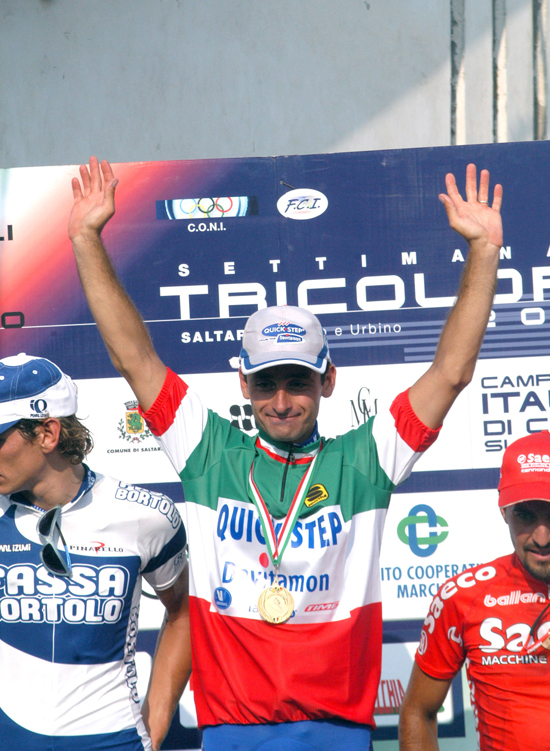 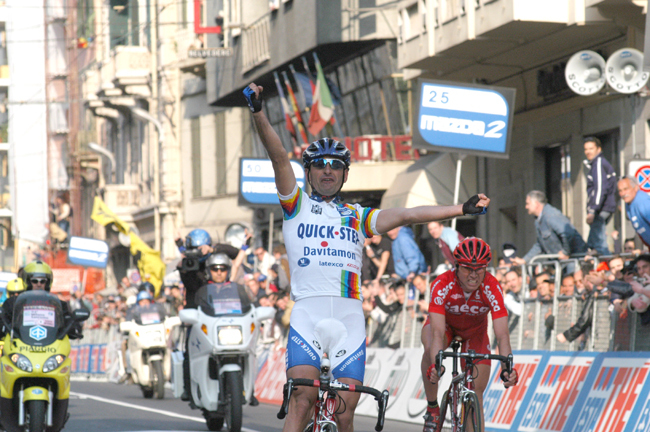 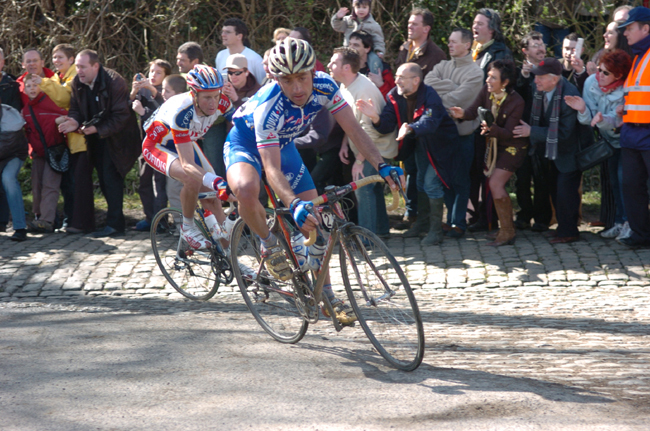 Bettini retired at the end of an injury-troubled 2008 season. 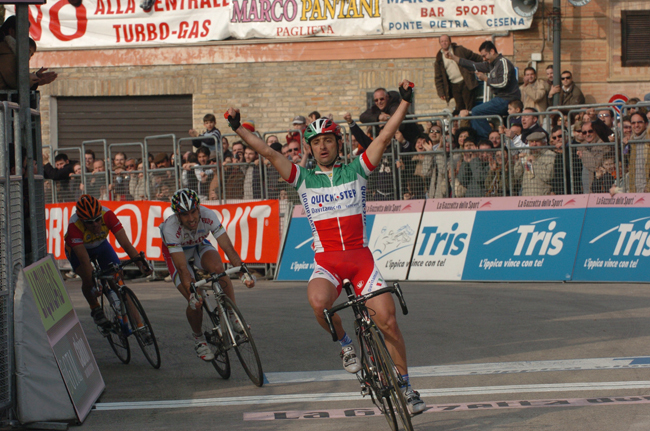 Following the death of Franco Ballerini later he took over the job of Italian National Coach in 2010, a job he held until 2014.